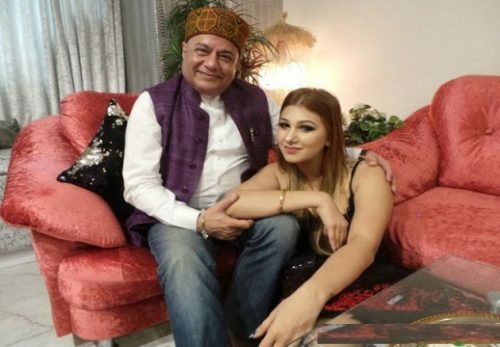 Jalseen Matharu is the commoner turned celebrity after entering Bigg Boss 12 with devotional singer Anup Jalota. She became famous for her alleged relationship with 65 years old Anup Jalota. Jasleen is a singer, actor and a trained dancer. She is also practicing kickboxing and has a brown belt in it. Currently, she is an active participant of Salman Khan’s reality show Bigg Boss. When makers introduced them as Jodi, the fans went crazy and trolled them for their age gap. Let us know more about Jasleen’s personal life in detail. Jasleen Matharu family background is from Ludhiana, Punjab. She was brought up in Mumbai. Right from childhood, she had a keen interest in music. Jasleen started taking training in western and classical music when she was only 11years old. She has also won several awards. Jasleen participated in many college events and even won the title of Best Female Singer. Jasleen Matharu has also recorded several songs with famous Bollywood singers including Amjad Khan and Mika Singh. Apart from being a singer, she is a trained dancer and has learned many dance forms like hip-hop, salsa and more. The diva made her debut as a singer from the album ‘Love Day Love Day’. She even acted as a lead in Bollywood film ’The Dirty Relation’. The film was directed b his father Kesar Matharu. She entered the show with famous singer Anup Jalota. The duo never opened upon their relationship, but it is rumored that the couple is been together from the past 3 years. Jasleen is her student and the two stays together in Mumbai. Their relationship shocked her family, infact Jasleen never told them about her love affair with Anup. When Bigg Boss 12 contestants asked them about their relationship, the couple said they are not dating but both are important for each other. But before entering the show the actress said that both are in relationship from the last 3 years and didn’t get time to spend quality time together. So this way Bigg Boss house would help them spending time together. Also read about, Urvashi Vani, Somi Khan, Nirmal Singh. It would be great seeing them together planning against the contestants, but we hope they play a fair game and concentrate only on improving their image.